I saw a bright glow through the picture window. It was bright enough to be an airplane but it wasn’t moving. It was time! And it was 3:30am. I grabbed my camera and a tripod and headed outside. The horizon showed slight hints of sun, and glow from distant street lights. The air was filled with the sounds of a squawking heron and some raccoons fighting in the distance to my right. I walked out onto the pier, set up my camera and started taking pictures of the bright planets gracing the horizon. In the picture below, the brightest star, closest to the horizon, isn’t a star. It’s the planet Venus. 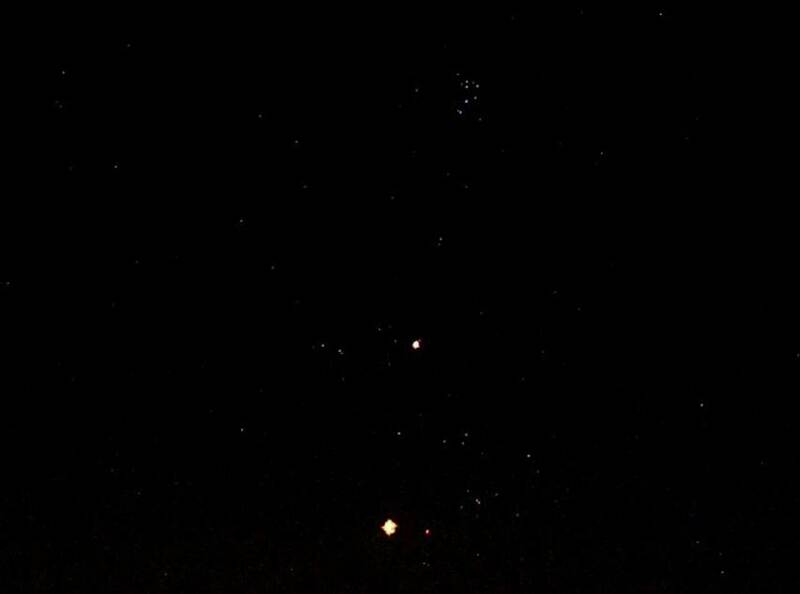 To her right is a Red Giant called Aldebaran. Above Venus, the planet Jupiter. And above, by roughly the same amount it is above Venus, the constellation, The Pleiades – The Seven Sisters. The bushes rattled behind and to my left. I was concerned about skunks. I grabbed my camera and tripod and waited to see what emerged from the brush. 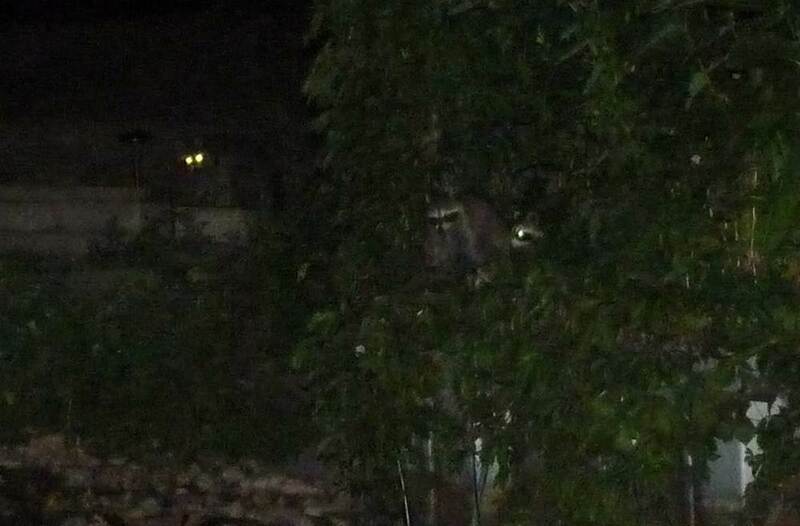 Not six feet away, slowly loping, and oblivious to my presence, was a mother raccoon. 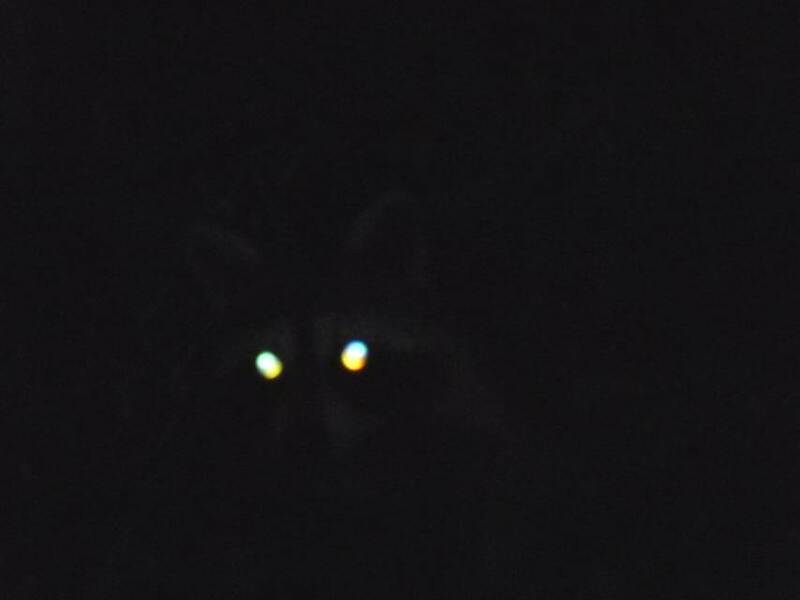 “Hello,” I said, with relief that she wasn’t a wobbling black critter with white stripes on her back. The mother continued with some interesting noises – probably a combination of “Hey kids, come here” and “You, human, stay away! !” One by one, her kits came crossed the path to join their mother. There were at least three. They were fascinated by this biped standing on the pier with a long three legged stick in one hand and a flashing box in the other. Here she’s laying the eggs.